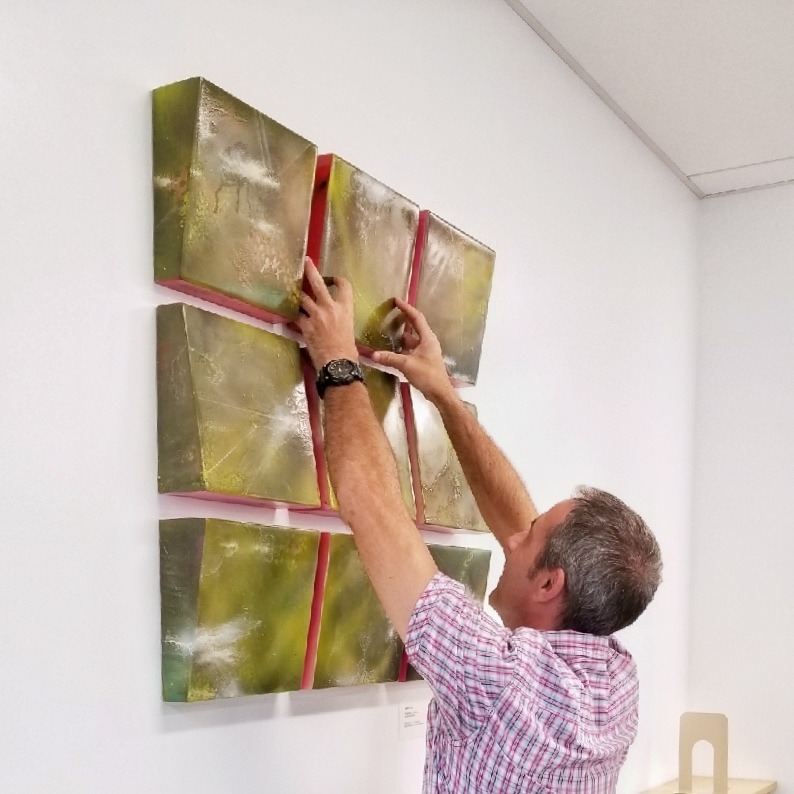 The brand new Nānākuli Public Library opened on April 14, 2018, and the SFCA’s Exhibit Specialist team installed artwork in the library shortly afterwards. Top: Zhi Situ installing a framed set of drawings, including Invisible Warrior / Christine Faye / pen and ink / 1999. Center: Senior Exhibit Specialist Teig Grennan installing Watermelon Wedgies / Sally French / acrylic, synthetic resin, wax pencil on wood panel / 2017. Acquired from the Art Kauaʻi 2017 exhibit. Bottom: Teig Grennan and Kamakani Konia (right) discuss the artwork with a librarian. This is the first time that the artwork has been on display. 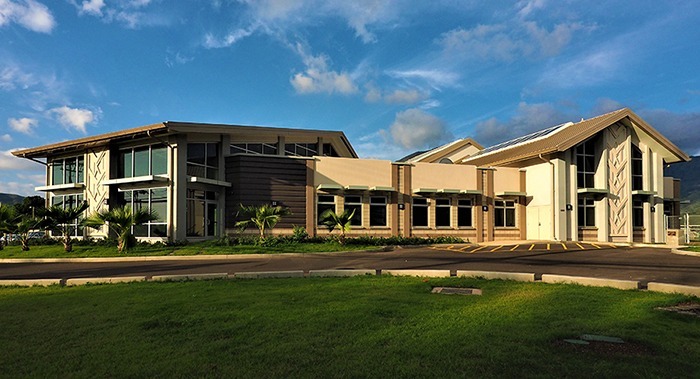 The library is located at 89-070 Farrington Highway and is open Monday – Saturday. Learn more about the design and features of the library on the Hawaiʻi State Public Library System website: Grand Opening and Dedication Ceremony of the New Nānākuli Public Library. Photo credits: top, Kamakani Konia. Center and bottom, Nathan Balcombe.